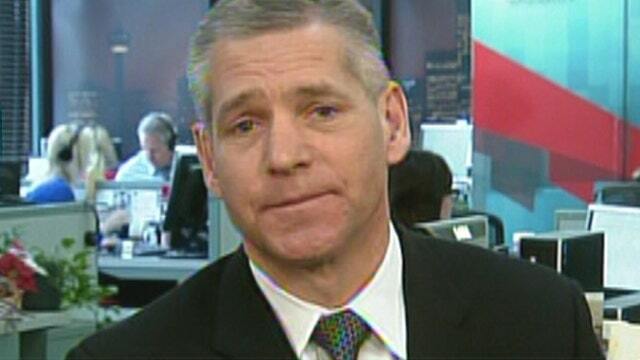 TransCanada CEO Russ Girling on the Keystone pipeline and White House energy policy. Increasing demand for oil and significant production growth have made the long-delayed Keystone XL pipeline even more important to the energy market, TransCanada (NYSE:TRP) CEO Russ Girling said in an interview Monday night on Cavuto. Girling, who believes Keystone XL will ultimately get approved, said his company’s primary reason to build the pipeline has always been to create a secure supply source to the world’s largest refining center in the Gulf Coast. “As production continues to grow in North America, we want to be able to feed that to markets right here on the continent,” he explained. Keystone XL, which would connect Alberta, Canada, to Gulf Coast refineries, has been in a holding pattern for more than five years. The Canadian government approved the project in 2010, about 18 months after it was proposed. Meanwhile, the U.S. State Department completed its review in January, and President Barack Obama recently indicated that he would decide whether to approve Keystone in the next couple months. Like the U.S., Canada has seen a surge in production thanks to a combination of hydraulic fracturing and horizontal drilling that has unlocked shale oil. Keystone XL would bring heavy crude oil from the Alberta oil sands, which has also produced an increasing amount of oil. In 2013, about 2.57 million barrels per day of Canadian crude oil crossed the border into the U.S., a 30% increase since 2010. The Keystone XL pipeline has been met with stiff opposition from environmentalists, who argue the project is unsafe and would increase emissions. However, the State Department’s review found no significant impact on the environment, and according to Girling, TransCanada has 59 safety conditions in place. The pipeline’s route through Nebraska was altered as well. Girling, who stepped into the CEO role in 2010, also called for the use of fossil fuels as well as alternative forms of energy, a strategy that mirrors TransCanada’s portfolio of solar energy and wind farms. He said the company has spent about $5 billion over the last three or four years on emissionless energy.